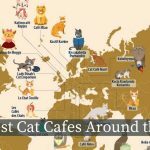 If you enjoy travelling, and you love cats, then this list of the 25 best cat cafés is ‘puurfect’ for you. These cat cafés are all quirky and unique, each offering up their own special experience. You can take part in yoga classes, craft events, play board games and enjoy local cuisine. The cafés take pride in their ethical standards, and many serve only organic vegetarian/vegan food and juices. Most of the cats in the cafés have been rescued from shelters, and some of them are up for adoption. Some cafés have a small entry fee, but in most cases this goes towards looking after the cats. 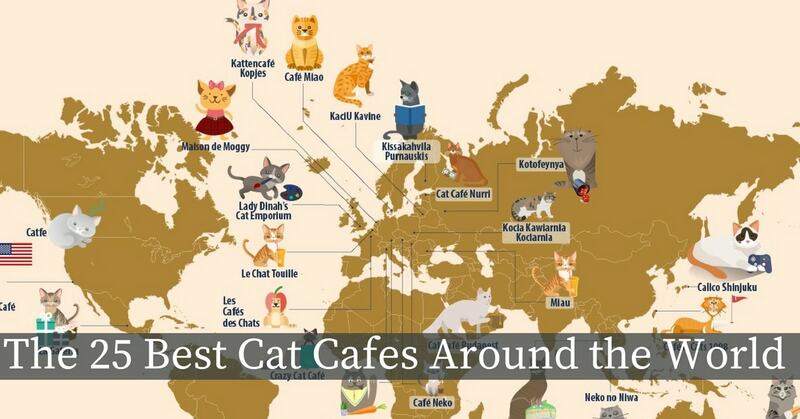 Have a look at our interactive version of the cat café map to see the cats in more details.